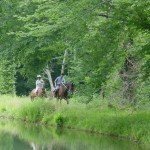 Full and varied week of riding and dining! 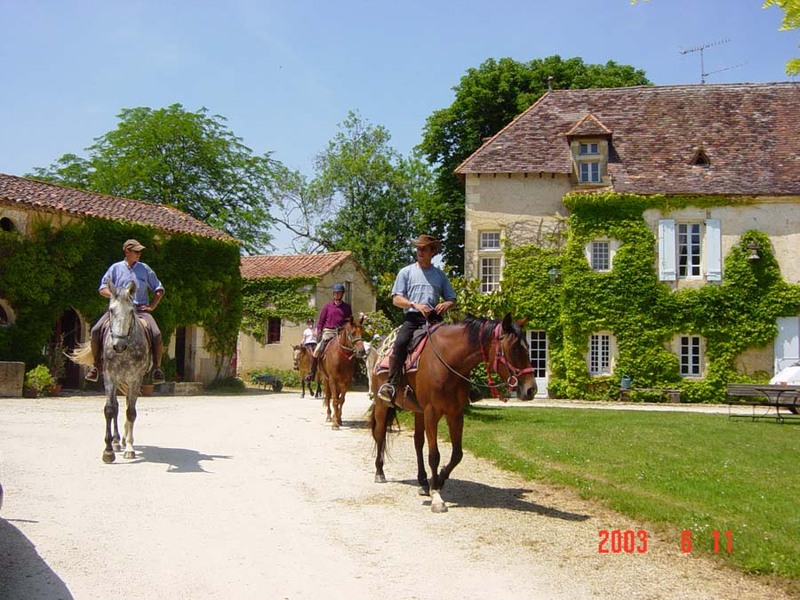 Included – All the riding, accommodation, meals, wine with meals and airport transfers plus on site activities, including tennis and boating on the lake. Excluded – Flights, tips, lunch and dinner on your ‘free’ day. International flight to Bergerac Airport. 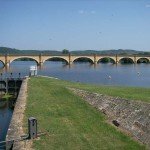 If there are no direct flights to Bergerac from your location then there are plenty options to get there from Bordeaux airport. 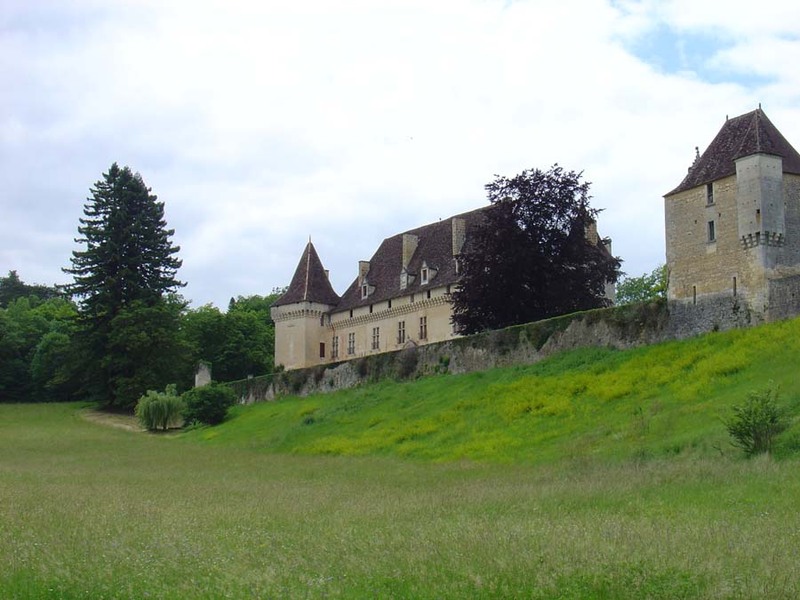 The airport is under a 30 minute drive to the Chateau and included. If you are coming in from Bordeaux please contact us for info on train, bus or taxi transfers. There are also other dates outside of the set ones except July & August when it is full. Please ask for availability, the ride size is a maximum of 6 clients and really suits groups or families of riders/non-riders. 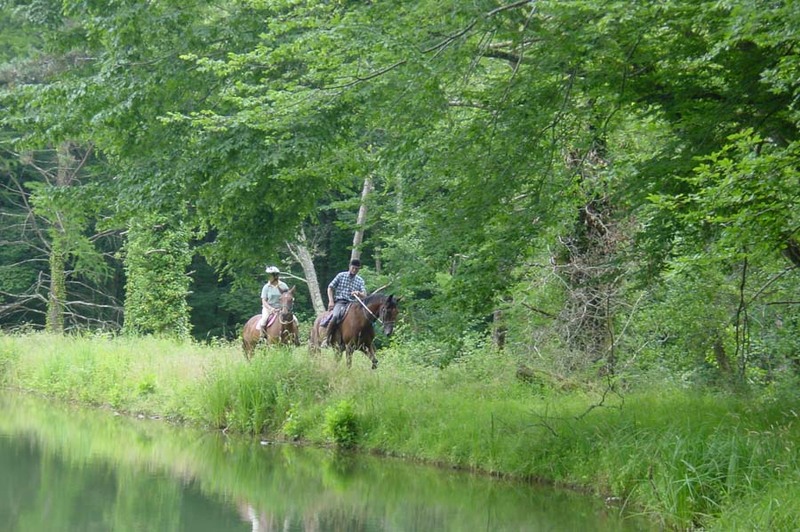 Don’t forget our Horse Riding Holiday GUARANTEE. 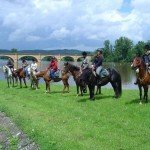 You won’t find any of our Horse Riding Holidays in France at a lower price through any other source… and if you do we will refund the difference. 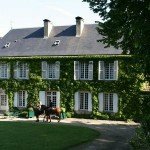 Le Bourdil Blanc is a beautiful 18th century manor house, recently restored to its former glory and now a warm, friendly and elegant home, comfortably set in its own private grounds extending to over 7 acres. 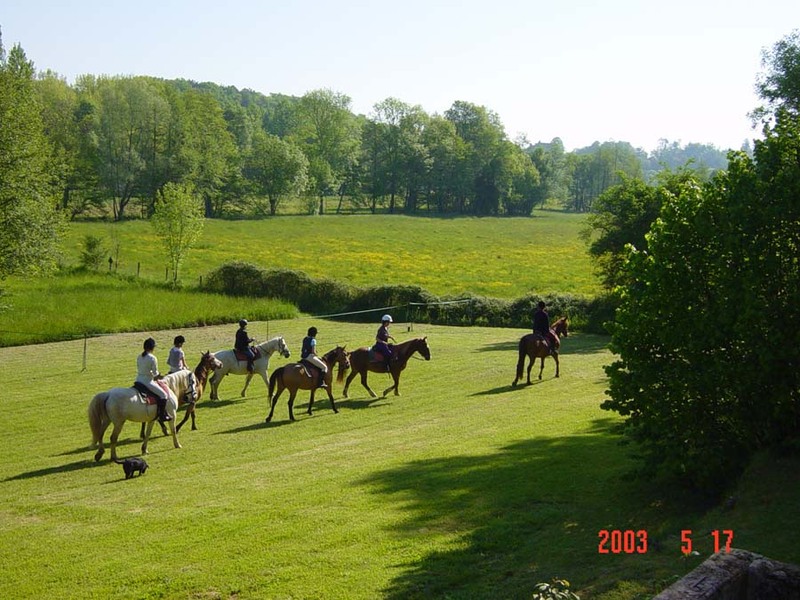 Apart from stables full of lovely mounts, there is a pool, tennis courts, mountain bikes, fishing & boating lake, a croquet lawn and some lovely mature trees, all bounded by a delightful trout stream. Not forgetting the warm hospitality and gastronomic delights – this is the sort of place you are encouraged to treat like your own home. 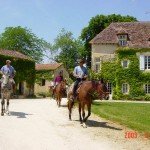 At Le Bourdil Blanc, Jane Hanslip, who owns and runs this ‘gastronomic’ riding holiday in France, offers her guests a full and varied week of riding and dining at Le Bourdil Blanc – near the town of Bergerac in the Dordogne. Guests can look forward to enjoying a ‘house party’ atmosphere which is perfect for singles, and private groups. From the moment you leave the stables at Le Bourdil Blanc (in the grounds of the beautiful manor where you will be staying) you will be riding through thousands of hectares of the region’s most beautiful private estates, following trails which take you through a countryside of thick forests, hidden valleys, vineyards and meadows – you’ll come across no other horses or riders, and hardly a gate to open all day long. 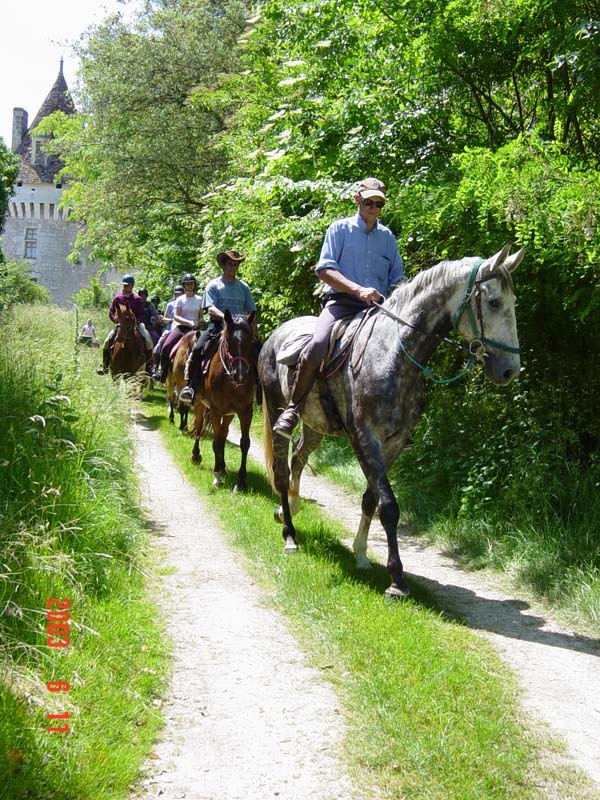 The rides at Le Bourdil Blanc are different each day, 2 -3 hours most mornings and afternoons – riders have the opportunity to enjoy long energetic trots and exciting canters, as well as lazy relaxing walks, interspersed with scrummy picnic lunches en route. 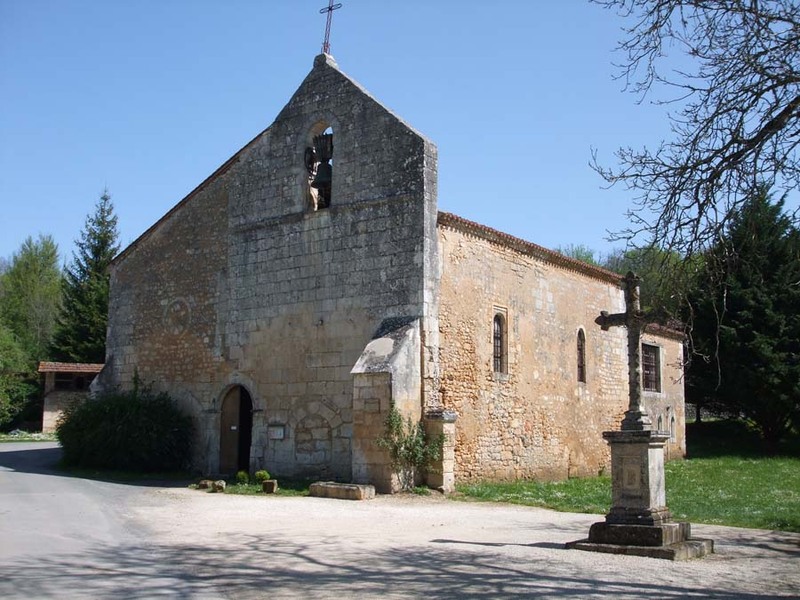 If you’re thinking of visiting France and specifically Le Bourdil Blanc, it’s in a fantastic spot, just 10 minutes from Bergerac and a perfect base for touring the regions of the Dordogne & Bordeaux. 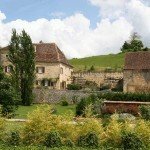 If you’d like to stay longer than a week, there are also some fantastic, self catering homes available, which are as big or as small you like, with pools, and oodles of French charm. We also recommend this as a place for riders to bring their non-riding partners. During the day they can ride off knowing that their partner can either chill out and relax, treating the place like their home, or use all the different facilities, like the pool and tennis courts or hire a car and get out and explore the area which is rich in cultural history. 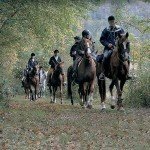 Le Bourdil Blanc : Horses – Selle Francaise & Arab Crosses. 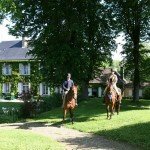 Le Bourdil Blanc : Level of Riding & Pace – Intermediate to Advanced. 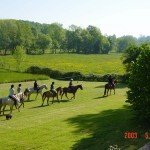 Not suitable for beginners, however novice riders are welcome in private group bookings. 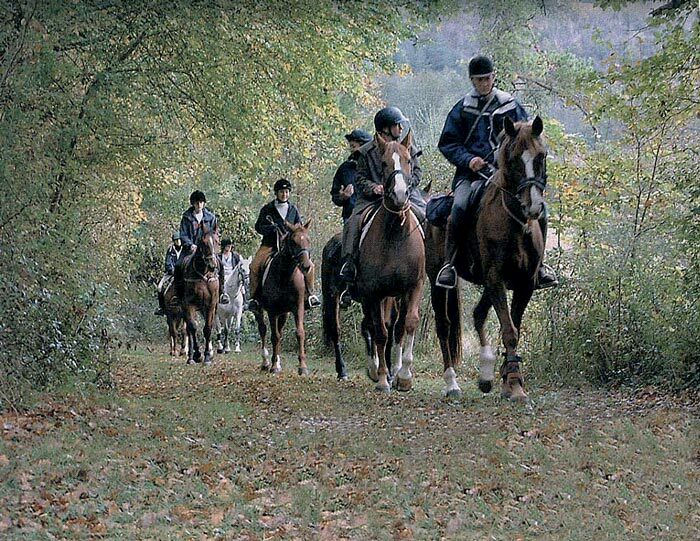 Tack – English with comfortable trekking saddles. Le Bourdil Blanc : Weight Restriction – 14 stone / 196 lbs / 90 kgs. Le Bourdil Blanc : Group Size – Maximum 6. A beautiful 18th century manor house, recently restored to a warm, friendly and elegant home. The food is a big highlight, and beautifully prepared by the brilliant chef Bernadette. Expect very good wines to accompany lunches & dinners. 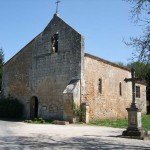 You will be met at the railway station or the airport in Bergerac and transferred to the manor house for dinner and to settle in for the week. You will be introduced to the horses that have been selected to match your riding experience and ability at 9:30am in the paddock behind the house. 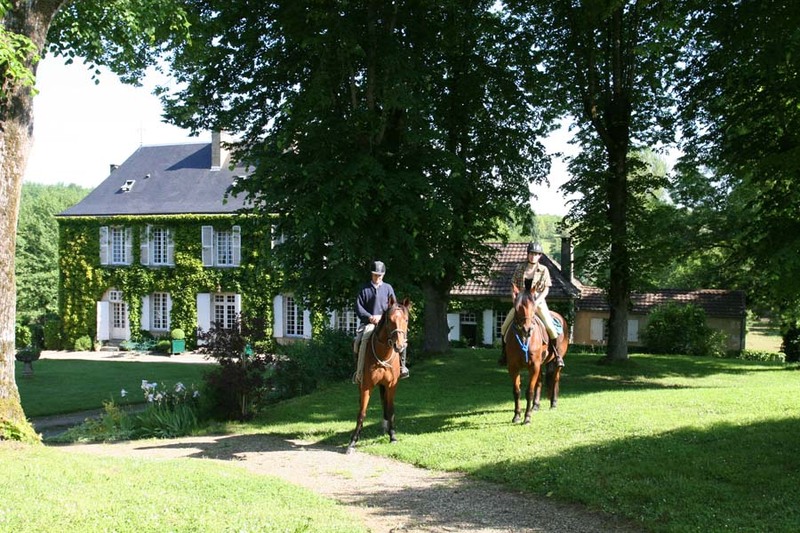 Then you leave for the Issigeac street market which is great fun and full of local colour, returning to the Bourdil Blanc for lunch and then a short afternoon trail ride across this wild region of forests (la Forêt du Landais) followed by drinks and dinner at the manor house. 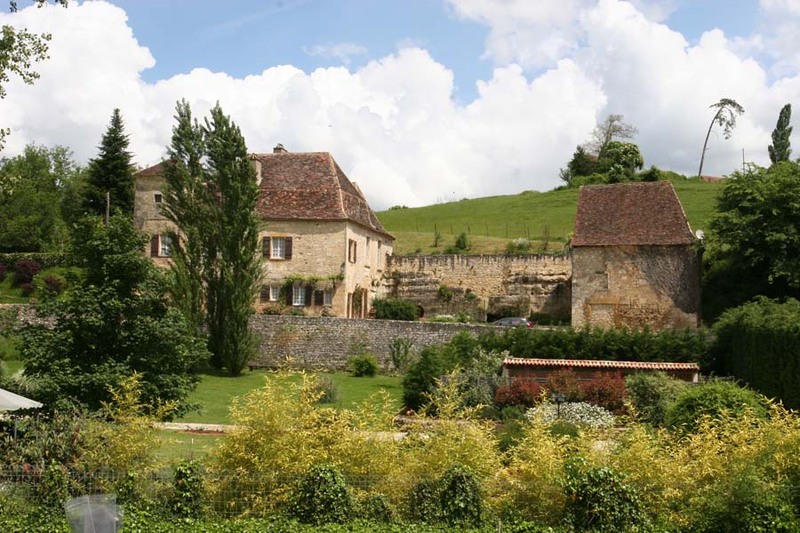 Today's route takes you through the village of Lamonzie Montastruc and across la Forêt de Liorac to the private Chateau Garraube with its formal gardens, then on to the pretty village of Saint Marcel du Perigord where you stop for a picnic lunch near a stream. 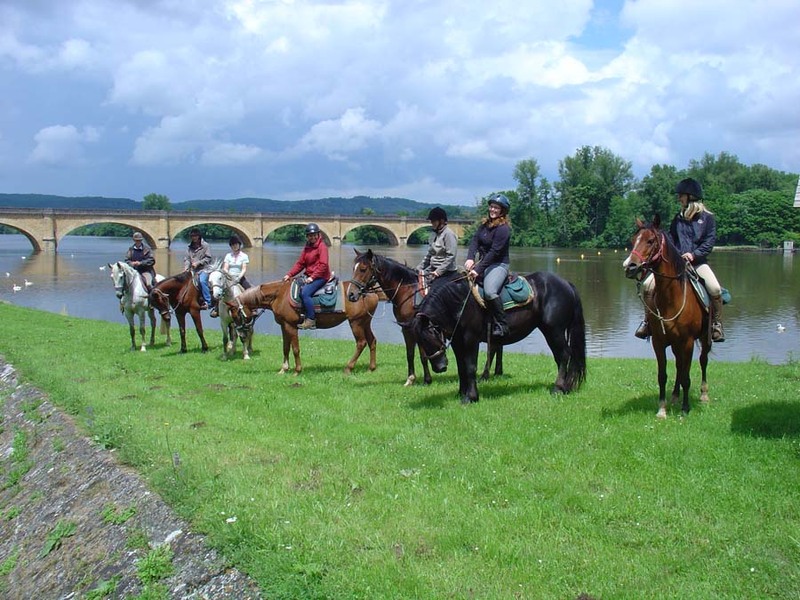 After lunch you will ride on to Pressignac-Vicq where the horses will stay overnight. Return to 'Le Bourdil Blanc' by car and Bernadette will cook a delicious, typical local dish to be washed down with some great local wines! Breakfast and drive back to Pressignac-Vicq to meet the horses. 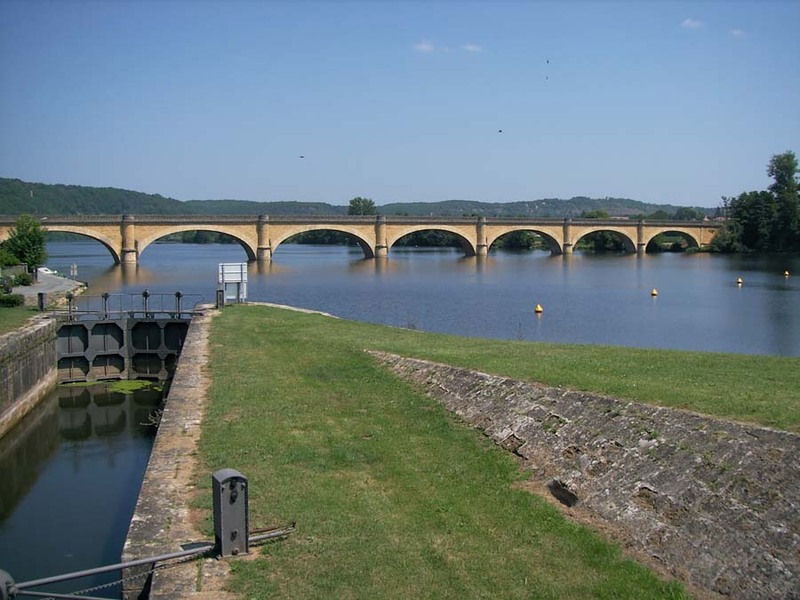 Today’s ride takes you down to the Dordogne river - a spectacular ride with wonderful views. You will stop on the bank of the river for a drink and a picnic lunch. In the afternoon ride back to Pressignac-Vicq by a sharply contrasting route with the opportunity for a few good canters. Driven back to Le Bourdil for a well earned drink before dinner. Breakfast before returning to the horses and riding them back home through the forests to the manor. 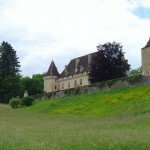 Stop for a delicious picnic lunch along the way arriving at Le Bourdil in time to change and go out winetasting at a local chateau. Relax before enjoying another delicious dinner. Overnight at Le Bourdil. Set off on a morning ride through the forests and vineyards either to Chateau Tiregand (owned by the Saint-Exupéry family, one of whom wrote the well known children’s book, 'Le Petit Prince') or to Les Terres Vielles Both produce excellent local wines and there will be time for an informal and informative wine tasting before riding back to Le Bourdil for lunch. The afternoon is free for sightseeing or to relax. Your host will discuss the options and will happily arrange group visits to local sites of interest, book restaurants and organise hire cars - or you can just relax at the house, using the heated swimming pool and tennis court or perhaps trying the boat on the lake - the choice is yours. Dinner is not included today and will be eaten out, either on the way back from the places you visit or you will be driven to a local restaurant, or even at the manor house if someone wants to cook! 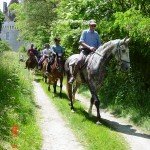 Ride through the Caudeau valley and the villages of Montclard, Saint Georges, St Martin des Combes and Clermont de Beauregard and passing the Chateau de la Gaubertie stopping at another idyllic picnic site. 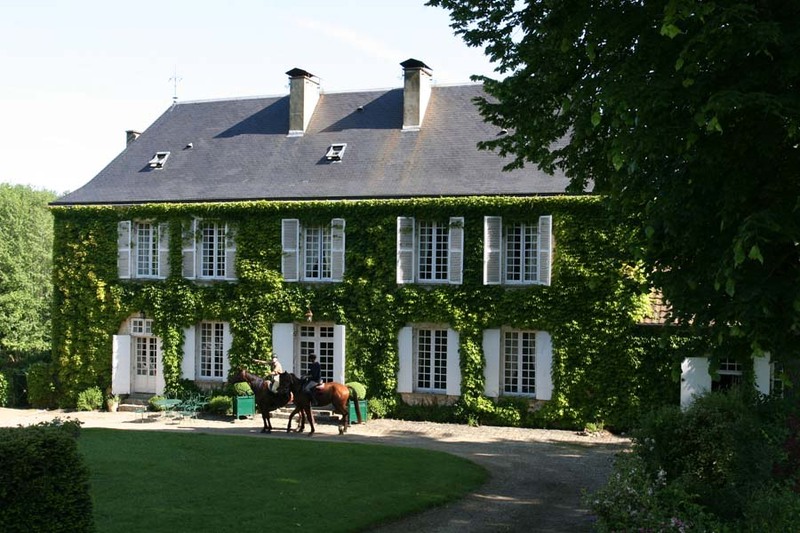 After lunch return to the manor house for drinks and a farewell dinner at the Bourdil. After breakfast transfer to the Bergerac railway station or airport, or have a visit first to Bergerac street market in the morning for some local shopping before your departure. Sheer magic! Nothing can compare to that incredible thrill of swimming with the horses. And what rides! Then to come back to the pool and delicious food and wine with great company. This definitely goes down as a holiday of a lifetime. Thanks guys!